HUGE apologies for my blog being basically non- existent over the past few weeks. 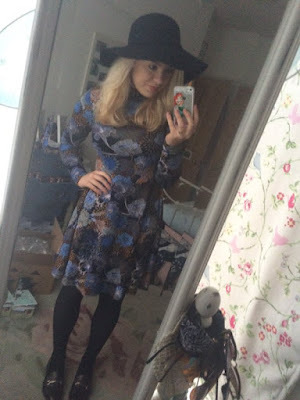 I've had school exams, university interviews and lots more, meaning that my blog had to take a back seat for a while. I'm planning some new exciting posts so hopefully they'll also be up soon! 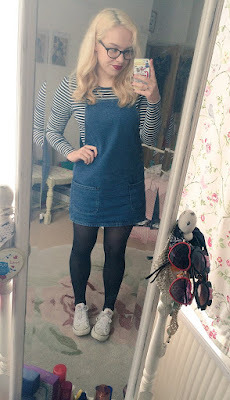 But for now I really wanted to share some of my favourite outfits from the past month or so! I love posting #OOTD photos on my Twitter so I thought it would be a good idea to collect them all together. 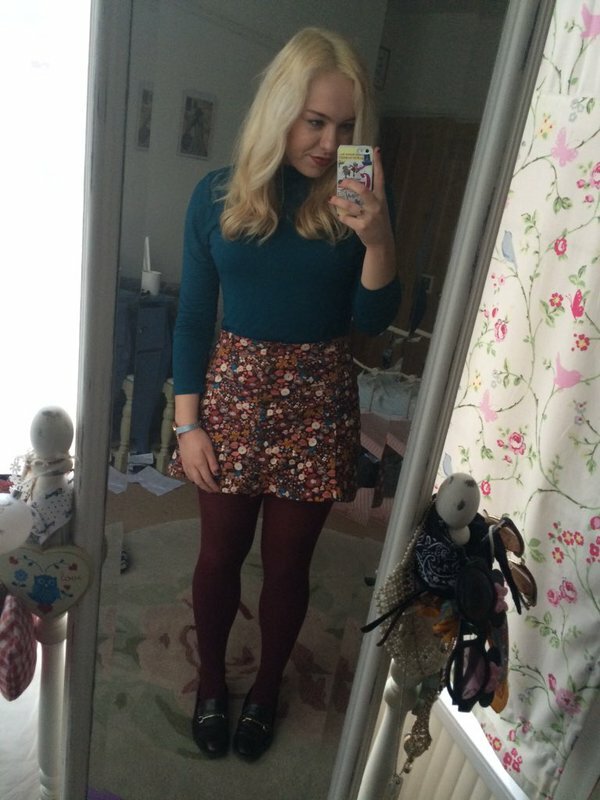 This is my newest outfit and I think its perfect for the transition from Winter to Spring! Its super comfy yet looks really cute. I'm OBSESSED with stripes at the moment so I'm grabbing every striped top, dress and skirt I can see..! 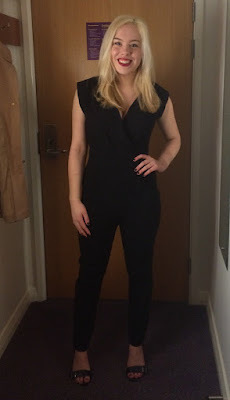 This is by far my favourite outfit of the past season! I've worn it non- stop! I love the complimentary colours and that it hints at a retro vibe. It also looks awesome with my favourite Dior lipstick too! My go-to lazy school day look! As a massive Disney fanatic, you won't be surprised at my collection of Disney clothes and accessories. This jumper is so comfy and warm as its lined with fleece! 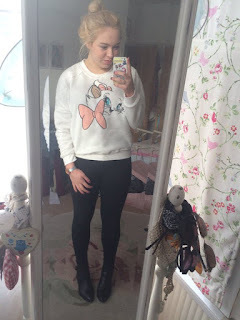 Marie from The Aristocats is my fave so its cute to have her on the front of my jumper! 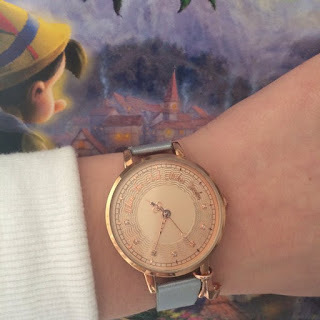 I received my Cinderella inspired watch for Christmas and I absolutely adore it- light blue, rose gold and Cinderella references... uh, yes please!? This is the most flattering playsuit I own! I love the retro 70s look and the simple floral pattern. Its so easy to wear with a pair of boots, natural hair and a neutral lip! 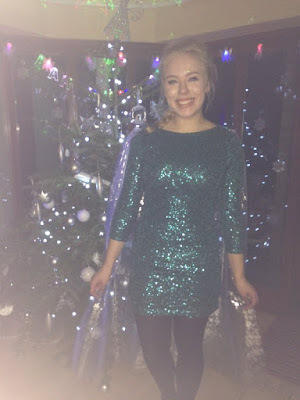 This is me at my friend's Christmas fancy dress party where I dressed up as Queen Elsa from 'Frozen'- I just used my favourite blue sequined dress from H&M added a cape of snowflake printed organza, styled my hair in the famous Elsa braid and added LOTS of sparkles! Such an easy costume but very effective, I think! 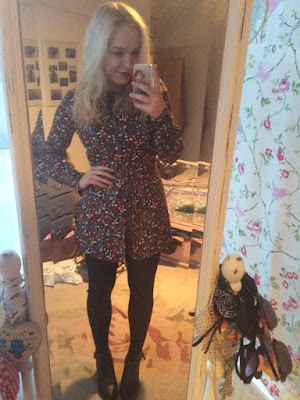 This is what I wore on Boxing Day to watch the Pantomime at the theatre! This is one of my favourite skirts from Primark (and it only cost £2!!) 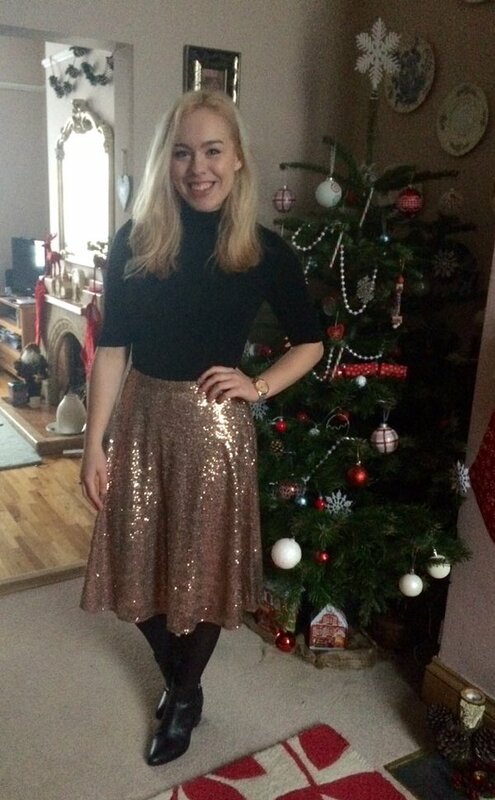 as its so flattering and I adore the rose gold sparkles! I feel like a Princess in it! 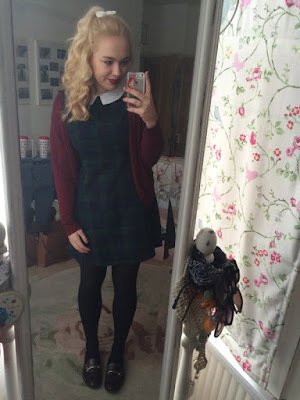 This is such a festive outfit- full of tartan, berry tones and bows! I feel like a little school girl in this uniform-esque outfit but its soo cute. Another 70s inspired outfit- definitely my favourite trend of this season! This high- neck, long sleeve dress is perfect for cold winter days. 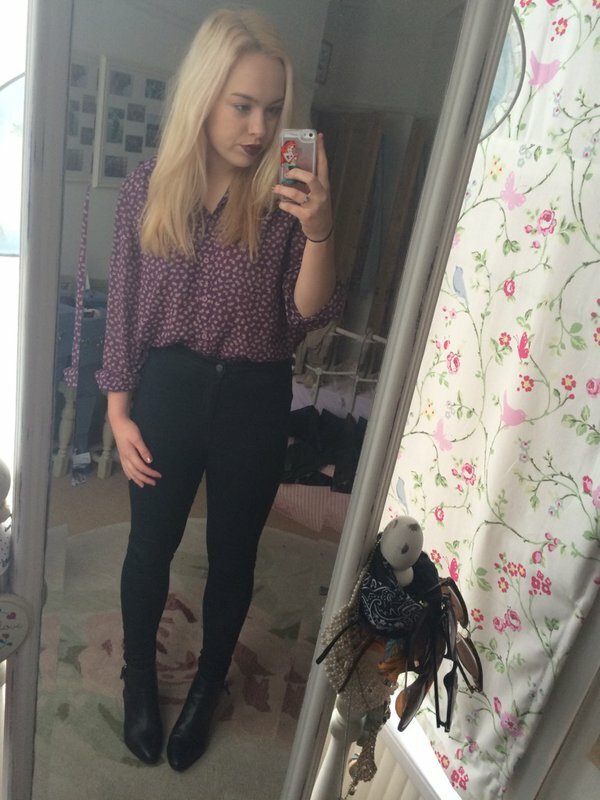 I love this outfit for a cool smart- casual look. Perfect for days when I'm both in school and in the office! The purple colour of this blouse is gorgeous, especially this season.